I’m quite sure that we all know the familiar smell and texture of Thyme? It’s a very common herb that’s used in kitchens around the world – and has been for thousands of years. I’m always interested in studying or trying to understand ancient medicines and techniques, partly for my own interest, but also because some of them are still used today – even with the advances we’ve made in modern medicine. Thyme is a perennial shrub that is native to the Mediterranean Basin and parts of the Middle East – but is also cultivated in Europe and parts of America today. It grows well in sunny areas with well-drained soil and is particularly resistant to drought and harsh cold. 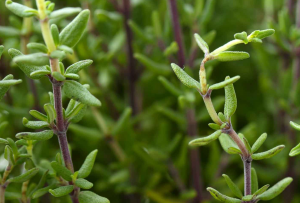 Thyme is also the largest natural source of thymol, a chemical compound that acts as a strong natural antioxidant and biocide – which means that it actively slows the mutation of bacteria, making them less resistant to medical treatments. Lately, we’ve been hearing about strains of so-called ‘superbugs’ that are essentially mutations of known diseases that have become resistant to treatment. This happens because diseases are living organisms that evolve with their circumstances and learn to adapt – much like we do. However, this becomes a major problem when they evolve past our means of treatment i.e. imagine if the flu was fatal! This scary reality is starting to dawn on us largely because of how we treat most illness. I like to relate this issue to a battle of sorts, perhaps the Vietnam War (with Creedence music and all). I say this not to make light of the war, but to stress how serious the issue is. Much like in Vietnam, when things became too challenging or the situation took a turn for the worst, they resort to dropping napalm bombs and using agent orange to clear the way. Today, we do quite the same in modern medicine as a means of fighting back – making the enemy retreat. However, that might win you a battle, but certainly not a war. Evolution is a natural process that affects all organisms on this planet, including us and the diseases we carry. So, instead of treating the flu with an ‘agent orange’ or ‘napalm’ approach, we should turn to a more natural means of treatment, as our bodies tend to handle (most) illnesses pretty well with it’s own natural defense system. Thymol is incredibly useful in strengthening your body’s ability to protect itself against harmful diseases by strengthening your immune system and kill off any bacteria that may linger in your body and evolve into something more harmful. 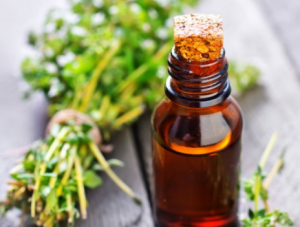 Thyme essential oil is the best means of combating infection and bacteria as it’s highly concentrated and can work well as a natural supplement along with current medicines to balance out the often harmful side-effects of medication. It is produced through a steam distillation process but can also be made quite easily at home. However, I’ll discuss that a bit later in the article. White & red thyme essential oil. Firstly, it is important for me to stress that red and white thyme are both still derived from the same herb and are both manufactured in the same way. Generally, the steam distillation process is used to extract the essential phytonutrients of standard thyme organic matter (the natural name for the shrub occurring in nature is ‘red thyme’). So after 1 distillation process, you are left with red thyme essential oil. This liquid is highly concentrated and contains all of the compositions that the plant has, but in high amounts (because of the concentration of the oil). Because of the high concentration of red thyme essential oil, we highly recommend not using it if you’re pregnant or on young children under the age of 6. Even though the oil is regarded as non-toxic and has minimum risk attached to it, overuse may cause skin irritation or headaches – so it’s also important to patch test the oil to make sure that your skin doesn’t react negatively to the oil (which is rare, but better to be on the safe side). White thyme essential oil is a further distillation of the red thyme essential oil. So, in other words, you distill the organic matter once in order to receive the raw, red thyme essential oil. From there, the oil is distilled once more in order to produce a thinner product that is less concentrated, but also less potent than red thyme essential oil. 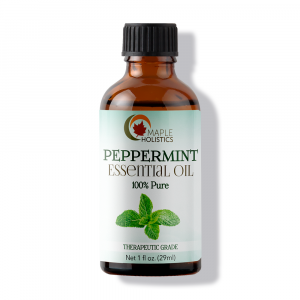 The difference between the products is that I would recommend red thyme oil for more intensive treatments and specifically topical application (or internal use, in very controlled and regulated amounts), and white essential oil for everyday use and aromatherapy. The choice is really up to you, but they’re basically the same product in different grades. Thyme essential oil for snoring. Snoring is a particularly annoying problem mainly because it doesn’t always affect the person who is snoring – but rather the other person who is unlucky enough to have to share a bed or room with someone who does snore. There are many causes for snoring and it’s quite common amongst men (and women too), especially if you’ve gained weight recently or suffer from indigestion. Most of why snoring occurs is related to the soft-palate in your mouth and whether it is irritated or not. And no, I don’t mean that in the ‘I’ve had a bad day, leave me alone’ way, I’m referring to the condition of the muscle i.e. when it is relaxed, your chances of snoring are less. However – you snorers are in luck as there are a variety of common and readily available essential oils that work well in treating snoring – thyme being one of them. 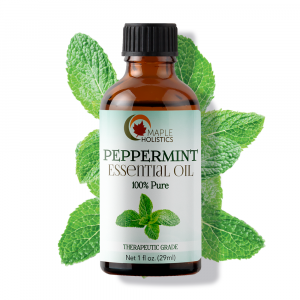 To use the essential oil effectively, simply add a 4 drops of the oil to roughly 4-5 drops of carrier oil (olive or canola oil – peppermint essential oil for really bad cases). Heat this mixture up and stir to ensure a good blend. Allow the mixture to cool and apply the oil to your feet and add a little to your chest and neck, if you’re heavily affected by snoring. Do this continually to help relax your soft palate and ensure long-lasting effects. Thyme essential oil DIY recipe. 1 Cup of fresh thyme. 1 480ml of carrier oil (olive or canola will do). 1 Glass container (a mason jar). First, wash and dry the thyme cuttings. Then, crush the cuttings with the mortar and pestle – if you don’t have access to one of these, you can also use your hands or a rolling pin. Once the thyme has been crushed, pour the oil into the saucepan and heat to a simmer. Then add the thyme and let it sit for roughly 5 minutes. After the time had elapsed, allow the oil to cool down and pour it into the glass jar with the thyme inside. Shake the glass container and store it in a cool dry place. There are a few people who suggest that if you suffer from high blood pressure, you should stay away from red thyme essential oil because it can raise your blood pressure – which makes it ideal for those who suffer from low blood pressure. 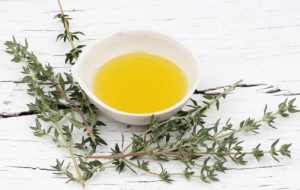 Thyme essential oil can also be used to relieve you of gasses that build up in your stomach – which, along with other problems, can lead to high blood pressure. However, if you do already suffer from high blood pressure, I would recommend taking the oil in very small amounts and consulting a doctor before you do. 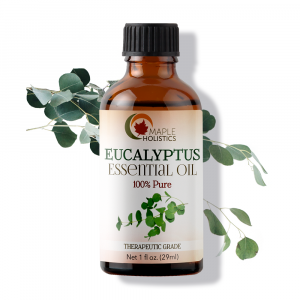 By mixing thyme essential oil with eucalyptus essential oil and inhaling the mixture, you can also help to reduce your anxiety levels (if you’re suffering from high stress). It’s important for you to treat stress as it’s one of the main causes of high blood pressure. 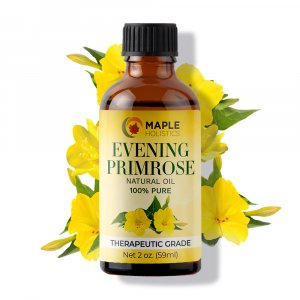 Check out our Palmarosa Essential Oil Benefits, Lemon Essential Oil Benefits and Witch Hazel Oil Benefits features here at Maple Holistics! Thyme makes for a really great essential oil because it’s so versatile and very effective as a medicinal treatment as well as for aromatherapy. It’s readily available and reasonably cheap, so keeping a vial around the house is easy and definitely worthwhile. I always keep a small amount in my collection, and have often used it in my cooking as well. Again, I always recommend utilizing a natural product as a port-of-call for most common illnesses and ailments. They have no harsh side-effects and always promote good health whilst treating your illness. It’s always worth trying an essential oil first as it’s a cheap and effective alternative to the costly medications that we generally turn to. Like I mentioned earlier, it’s time we rethink the way we tackle diseases and sickness, before we create a disease or bacteria that we can’t control.